Russian BUK Missile System v. American HAWK Missile System - Is There Any Possibility of Another Similar Flight MH-17 Shoot Down Occurrence? It is an understatement to say that the whole world was stunned to learn on Thursday, July 17, 2014 that a commercial/civilian aircraft had been shot out of the sky by a medium range surface-to-air missile. But it is true -- various respected media outlets have reported that a Russian-made BUK/SA-11 medium range surface-to-air missile system locked onto Malaysia Airline's Flight MH-17 flying at approximately 33,000 feet and fired one or more missiles in the sky at or near the aircraft causing it to crash killing all of its 298 crew and passengers in eastern Ukraine. Because of the Russian make and nomenclature of the BUK Missile System apparatus, many believe that Russian President, Vladimir Putin shares some level of complicity for the attack. This event has prompted many to ask some very interesting questions about the ability of a medium range surface-to-air missile to reach flight altitudes of in excess of 45,000 feet taking down commercial aircraft flying outside of the United States. However, because of all of the international political rhetoric targeted at Vladimir Putin, I fear the domestic/United States homeland security leadership may lose sight of our own national security interests by failing to completely exploit the idea of whether there is any possibility of another similar act taking place at the hands of a home-grown terrorist using the United States-made HAWK missile system or other medium range surface-to-air missile system. Identification BUK - Soviet tracked (mobile) medium level surface-to-air missile system designed to protect ground forces from air attack. HAWK - "Homing All the Way Killer" U.S. semi-mobile medium range surface-to-air missile entered into service in 1960, initially to destroy aircraft and later configured to destroy other missiles in flight. It was superseded by the Patriot and Stinger and phased out of service in the U.S. in 2002. Is it Definitive that Russia was Complicit in the BUK Shoot Down of Flight MH-17? In the aftermath of the Flight MH-17 shoot down crisis, many have speculated that because the BUK system was so sophisticated, any operators had to have been Russian or trained by Russian crewmembers for a period of at least six months. I agree that anyone operating any such missile system would need at least six months of training just to gain a general understanding of the component parts. Each section of a HAWK missile battery was comprised of at least three launchers and usually one spare launcher. Each launcher included three missiles maintained by at least four crewmembers. All of the launchers made up what was called the down-range portion of the section. All of the radars including the IFF and the actual firing of the missiles were operated by several more up-range crewmembers in the section. Because of the similar nature of the BUK and HAWK missile systems, one could speculate that at least four crewmembers are needed to operate the BUK missile system. It has been reported that the BUK missile system in question was seen traveling with one missile transporter and that it may have been traveling without an IFF radar vehicle, which would have rendered the system incapable of receiving Flight MH-17's IFF squawk, if it was squawking that frequency. It does not automatically follow that Russian crewmember operators trained pro-Russian separatists to use the BUK in question or that Russian operators actually operated the BUK missile in question. U.S. Secretary of State, John Kerry has stated that although Ukraine owns BUK missile systems, none were in the area where the Flight MH-17 shoot down occurred. 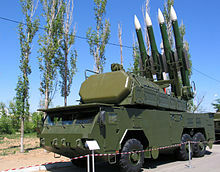 However, if Ukraine owns any BUK missile systems it is possible that one or more former members of the Ukraine armed forces or former members of any other armed forces that used the BUK missile system (who are possibly now pro-Russian separatists) could have operated or trained pro-Russian separatists to operate the BUK missile system in question. Knowing what I know about the operation of the HAWK Missile System, I just don't think it is likely that a Russian operator would operate the BUK Missile System without an IFF radar. It will be interesting to see if the international community will ever be able to definitively establish Russia and/or Vladimir Putin's complicity in the Flight MH-17 tragedy. At the moment, the only fact that we know for sure is that the BUK is Russian-made. It does not seem that it is yet definitive that the BUK in question was actually owned by Russia or that Russia gave it to the individuals who used it on July 17, 2014 to shoot down Flight MH-17. It should also be noted that there may be a possibility that the up-range radar -- command post component of the BUK may be able to remotely fire missiles. What is the Possibility of a Similar Flight MH-17 Shoot Down Occurrence? Over the past few days, I have heard numerous pilots say that it would never occur to a pilot flying a commercial aircraft for a U.S. carrier that it could be shot down by a medium range surface-to-air missile. I agree the likelihood is very remote within the United States, but is it impossible? And if there is any remote possibility of such an occurrence in the United States, what is the percentage of probability that it could happen to another aircraft flying outside of the United States? 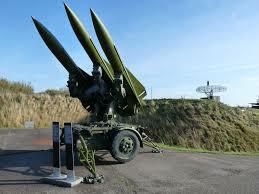 As stated above, the HAWK Missile System is obsolete and has been phased out of use by the United States Armed Forces. However, the American company, Raytheon, manufactured approximately 40,000 HAWK missile systems that have been sold to and operated by numerous countries including, Iran, Kuwait, Saudi Arabia, Iraq, etc. So one of my questions is: where are all of these HAWK missile systems? Because the BUK and HAWK are so similar, I wonder if we are not so distracted by the international political rhetoric directed at Vladimir Putin that members of the international community are not accounting for the whereabouts of all HAWK missile systems and all other medium range surface-to-air missile systems. I pray that our domestic intelligence and national security communities as well as those of our international partners are exploiting all possibilities raised by the eventuality of the Flight MH-17 tragedy in an effort to shore up all possible areas of exposure that may be contemplated by terrorist organizations around the world. In the alternative, I pray that many experts will refute some or all of the questions that I have raised.